BRIDGET GUEST & ROY WILCOCK “Universal Chorus”Kitchen Table Music KTCD04 Inspired by the Quaker Tapestry stories. 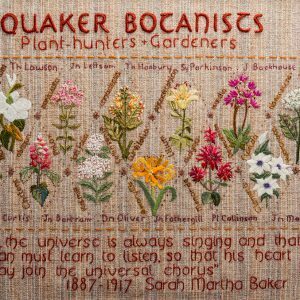 This features 13 songs written and performed by Bridget and Roy along with some talented musicians/friends which explore the fascinating stories, the amazing characters and the social history illustrated within the Quaker Tapestry panels. 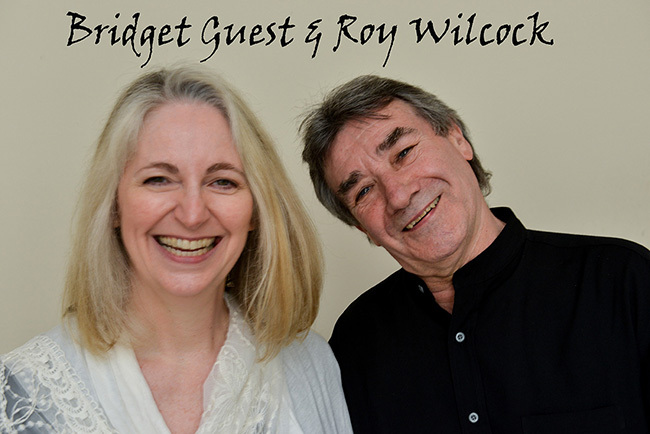 With their songs and evocative music, Bridget and Roy take us into the hearts and minds of ordinary people. The characters in the pictures come alive, revealing their thoughts and emotions, the pain and the joy.The 16 page booklet gives a brief history including the words of the songs. 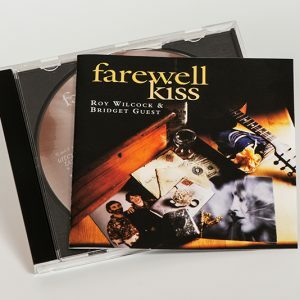 “A tremendously intimate work, it’s all self-written, combining heartbreaking tales of parting and loss as in a resigned song of transportation – “And I need him to forgive me for it could be fourteen years. It will break my mother’s heart if he takes this to his grave” (The Farthest Shore) with the joyous spiritual feel of Lady Moses. 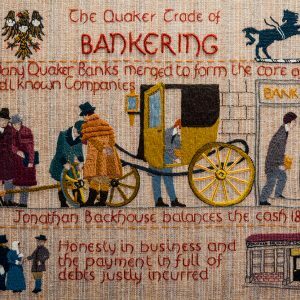 George Fox is widely regarded as the founder of the Quaker movement and I Miss You in which Bridget imagines herself in the place of Fox’s wife, awaiting his return from preaching (or gaol!) is as affecting as it is beautiful. 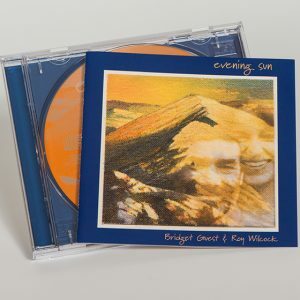 In previous albums these two have delivered warm, comfortable, almost homespun music but this is more like it! 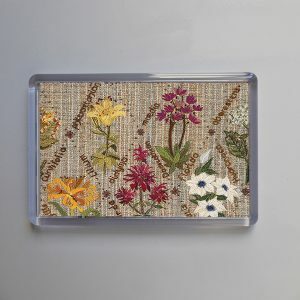 Quite special, it’s unrushed and speaks volumes – quietly. They sing with more intent and imagination and sound better than on prior outings. Recorded and produced by Brian Bedford at Park Head Studios, a wholly empathetic symbiosis that utilises the various additional talents of Stewart Hardy, Howard Lees and Bill Jones is realised. 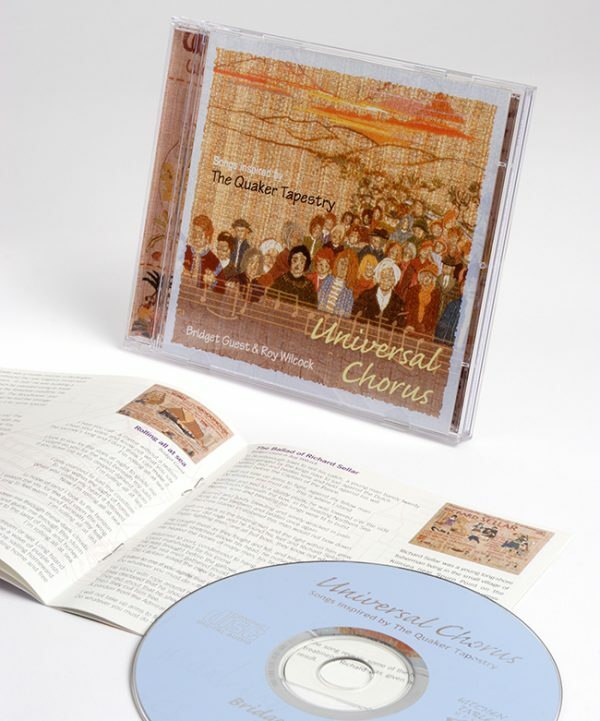 “The CD is subtitled “Songs Inspired by the Quaker Tapestry”, the word inspired is important and literal. These are much more than interpretations. Each song is strong in its own right (and worthy of circulation well beyond this conceptual format). Real people emerge from their historical context, given voice in song. And if that sounds like a fair working definition of folk song, all the better. 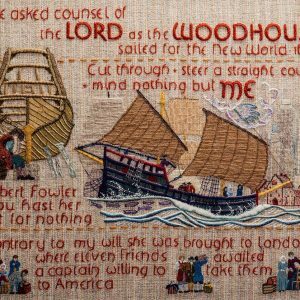 Take “The Farthest Shore”, a dramatic monologue for a Transported convict, which takes flight from the panel dedicated to Elizabeth Fry. Its concerns are specific, its emotions valid and its poetry rooted in the simplicity of honest speech. The fact this is followed on the CD by the spiritual-based “Lady Moses” which reflects on The Underground Railroad gives some sense of the range of the song suite. A sub-theme of the album is a celebration of the nature trail at Gait Barrows in Cumbria. It concludes with an epic tale of a year in the life of the trail which is utterly English.